bought this on sale- love it, but love it for the sale price i paid. would not have spent the full price. Love the fit. Super soft and cozy. 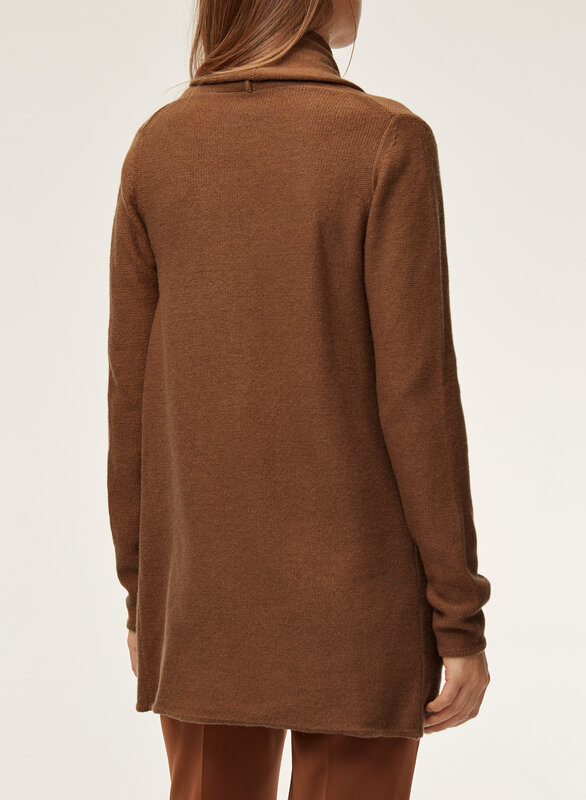 Purchased in mutiple colors, excellent staple sweater. Super comfortable sweater! So far has held up in the wash. The fit is good and length hits at a nice place that isn’t too short or too long! Super comfortable. Can dress up or down. The fabric is soft, warm, and breathable. I feel like it’s a great transition piece - I could see myself wearing it in winter, but also on cold spring days. It’s fitted around the arms, but a loose fit otherwise. I usually take between an XS and M depending on the item. I got this one in a small, and would therefore say it is true to size. I wanted to love this cardigan but I am extremely disappointed. After wearing it once it is pilling all over. I purchased it to wear to work and the piling makes it look old and unprofessional. 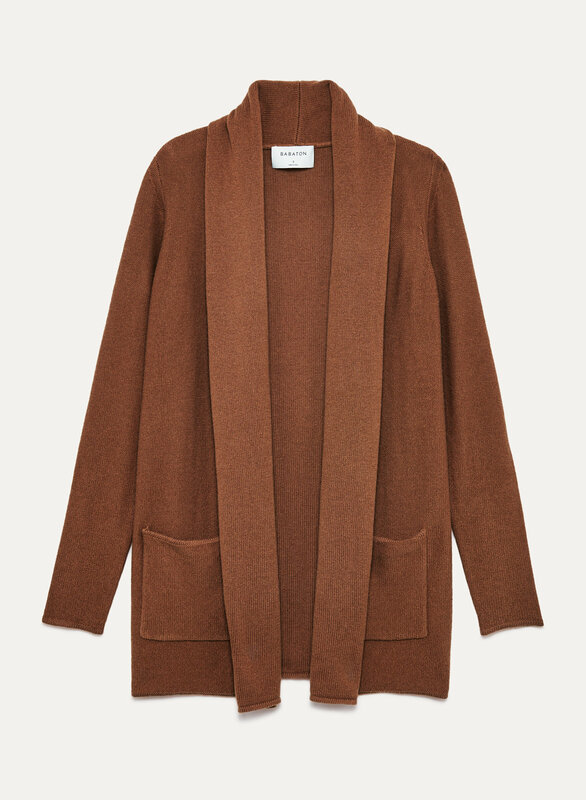 I expect more from Aritzia. 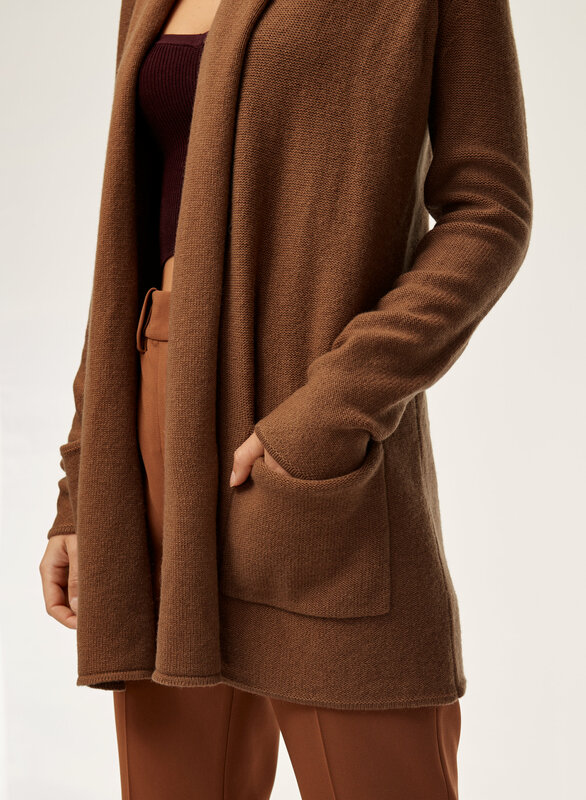 I am typically a size small in these types of cardigans but I found the small too tight on the shoulders and upper arm. So I reordered in size medium, but this was almost like going 2 sizes up for me. Much better to try on in store for your true size as I don’t think it reflects sizing well. Purchased this online. Its a lot more wooly like than i had expected. Wished it was softer. Aside from that its cozy and warm. I was hoping that with the higher wool content it would be higher quality and not ball up as much. The opposite was true. The best quality sweater I have ever owned. Will defiantly be shopping here for more. Love the colour and fit! Fits true to size. I really like this sweater. I just hope it doesn’t pill too much. This sweater pairs well with everything! And it’s so comfy and warm. I need more. I wish the color was a richer warm brown as depicted in the picture rather than a cooler camel tone. Super cozy, perfect fit. I want another one!